Brian reaches 2,000 miles walked!! It may be overcast and a wee-bit wet in the Scottish Western Highlands but Brian Burnie’s spirits are high. 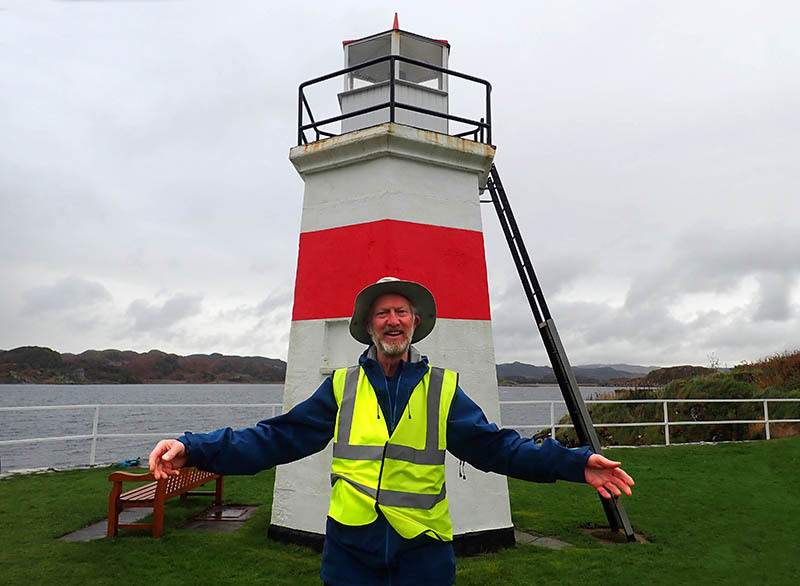 After 7 months of hiking, the charity founder has reached another impressive milestone – 2,000 miles walked on his mission to bring free cancer patient are all over Great Britain and Ireland. Brian left Newcastle on 5th March 2018 to walk 7,000 miles around the country to promote and expand the Gosforth based Charity, ‘Daft as a Brush Cancer Patient Care’. Stagecoach Inverness came to their rescue but poor Bluebell had to be towed to Inverness depot for specialist attention. Cheryl adds “Stagecoach were so helpful! They had a specialist engineer look at the electrics and she was back on the road in no time! We are so grateful to the team at Inverness for helping us”. Brian’s dream to take the charity nationwide could be turning in to a reality. 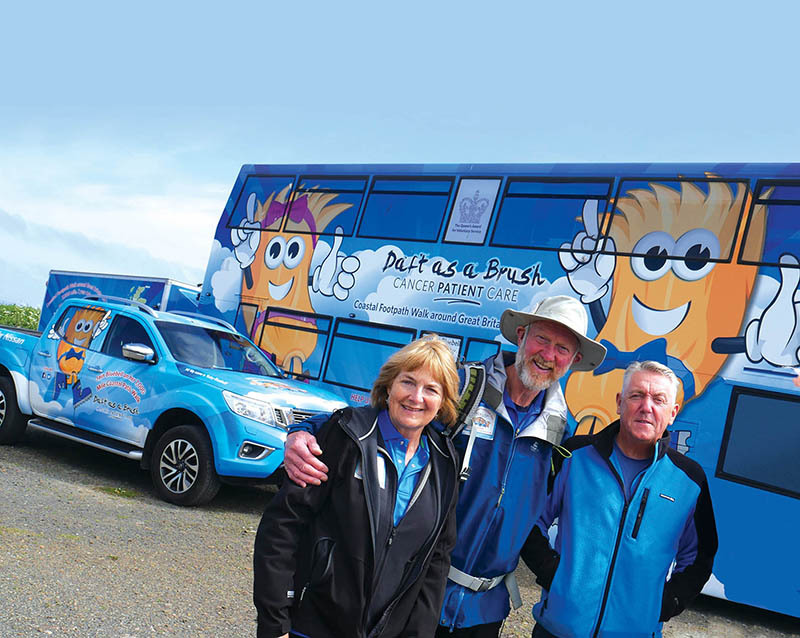 The “Bluebell Bus Team” – Brian and Cheryl Burnie with Driver Tommy Watson.